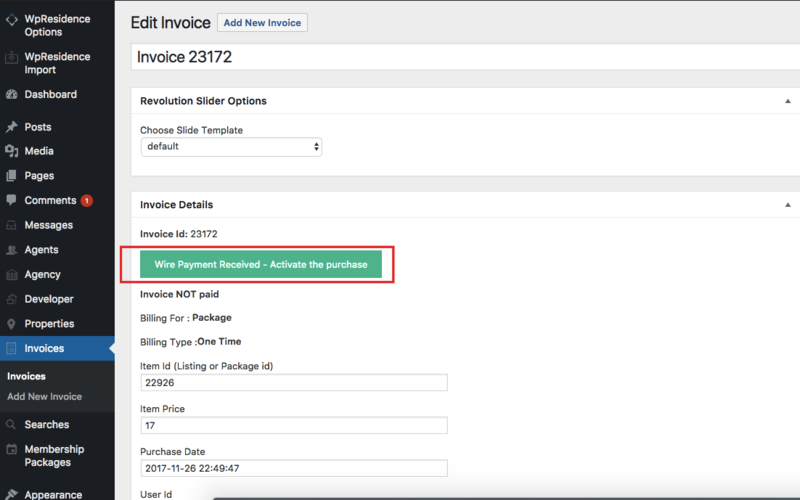 Step3: And add the currency for payments if the currency you wish to use doesn’t already exist in the Currency For Paid Submission list. 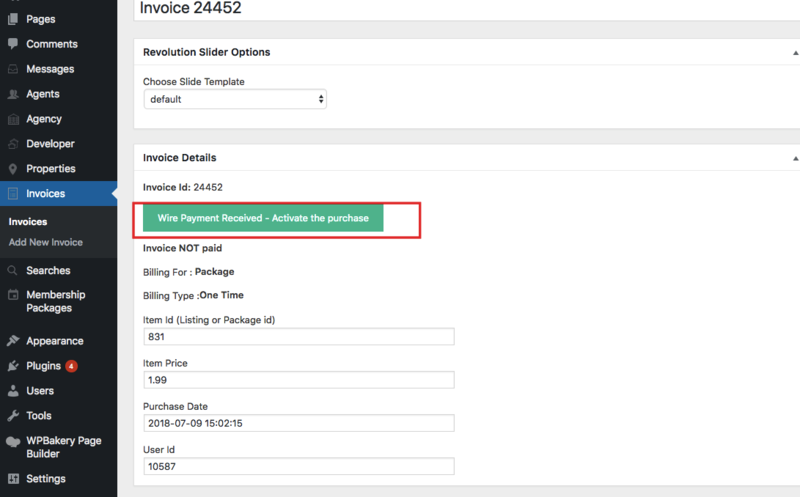 The email will include the INVOICE NUMBER generated in Admin. The user will need to add that ID in payment info. Admin will look for the invoice by ID when he receives payment in his bank account. 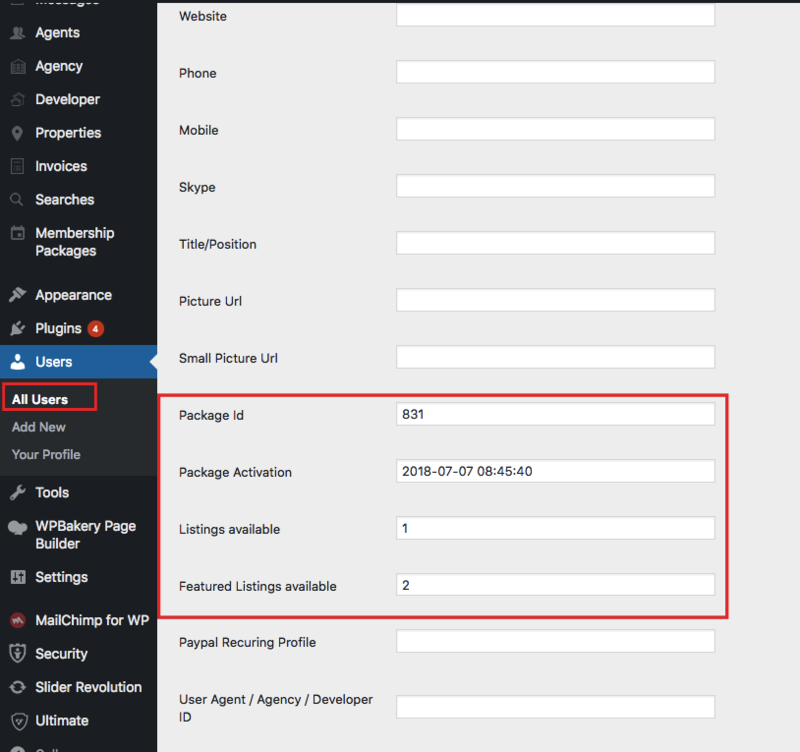 Step7: In Users – Edit Users you can check and confirm the user has received the package ID, listings included and featured included automatically. The package will expire based on Membership Package expiration setting. Wire Transfer does not work with the recurring option.